Are you free in July and/or August? Do you know how to handle a sailing boat? Are you at ease with sailing with two guys? Up for a summer sailing in Mediterranean? OK, so... our boat name is "Europa" and we decided to use our two months of leave (July and August) to sail her from Dubrovnik (Croatia) to the Island of Crete, where the name Europa presumably originates. Our intention is to first cross the Adriatic to Italy, than to Greece and via the Corinth canal towards Mykonos (tbc), Cyclades islands and South to Crete, with a possibility to sail further to Malta. We want to start the trip the first week of July. We are looking for somebody +/- in our age (25-45), who is already well experienced in sailing and can help on board, and also assume an independent watch during longer passages. If you are a skilled skipper, even better. Since we would only be 3 on board (exceptionally 4/5) we expect you to share all basic activities on board equally (e.g.cooking and/or cleaning). 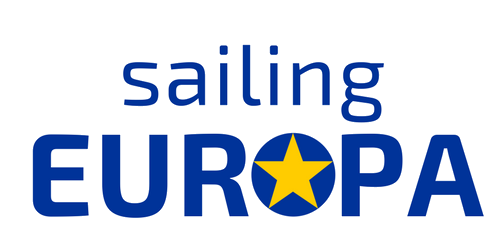 We are also thinking about boosting our social media activity to promote both, sailing and Europe, so any social media skills (photo/video editing) would be an asset. Willingness/capacity to help with boat maintenance would also be an asset. You should be willing to join us for at least 4 weeks (ideally for the whole trip) and be fluent in English (or Czech/Slovak, if you dare lol). The boat is for free. You only pay the trip to/from the boat and we share all expenditure (food/drinks/marinas/diesel/local taxes) equally (i.e. divided by 3). Where should I travel to/from?